Just what is in our products? Many people ask us what makes our products so special and unique. Besides the years of research and formulation that went into creating the Lice Knowing You© brand – the products work. 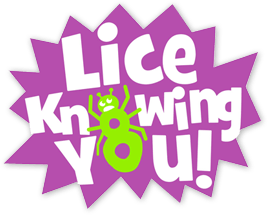 When used correctly, Lice Knowing You© products have a 100% success rate at treating and preventing head lice. We can about keeping your family lice free in a safe and healthy way. All of our products are natural, organic and pesticide free. They contain NO sulfates or parabans. They DO contain a blend of essential oils proven to defend lice and other insects from your hair and skin – guaranteed to keep your hair silky smooth, smelling good and lice-free! * Rosemary Oil: Rosemary Oil has many different health benefits. Not only is it a great insect/lice repellent but also it’s great for strengthening hair follicles and stimulating hair growth! * Neem Oil: Neem extracts have certain qualities that get in the way of a parasites ability to feed. It also prevents eggs from hatching – stopping lice before they start. * Lemongrass Oil: Lemongrass Oil is commonly used as an insect repellent and is known to keep bugs away for hours at a time. * Eucalyptus Oil: Eucalyptus Oil can be used as an insect repellent and for the relief of insect bites and head lice infestations. *Tea Tree/Lavender/Peppermint Oil: These three oils are commonly used as insect and lice repellents because lice are deterred by the smell of the oils. These oils combined with other key ingredients are what make the Lice Knowing You© product line so successful at treating and preventing head lice infestations. As summer approaches – and kids are prone to sharing helmets and other toys, keep lice at bay by taking preventative measures and using a Lice Knowing You© detangler and environmental spray on your hair and your stuff. Give lice the brush off with Lice Knowing You© prevention products!